The title says it all, I want to know what the simplest way to export the selected objects. In Inkscape, there is a menu option called export selected which does just this. The aforementioned option lets you export the selection as a composite image or as a batch of individual images. Both would be nice, but in this scenario I want to export the selected objects as a single image. I can already create a new document, and paste in the selected items. I am looking for a way that is easier than this. 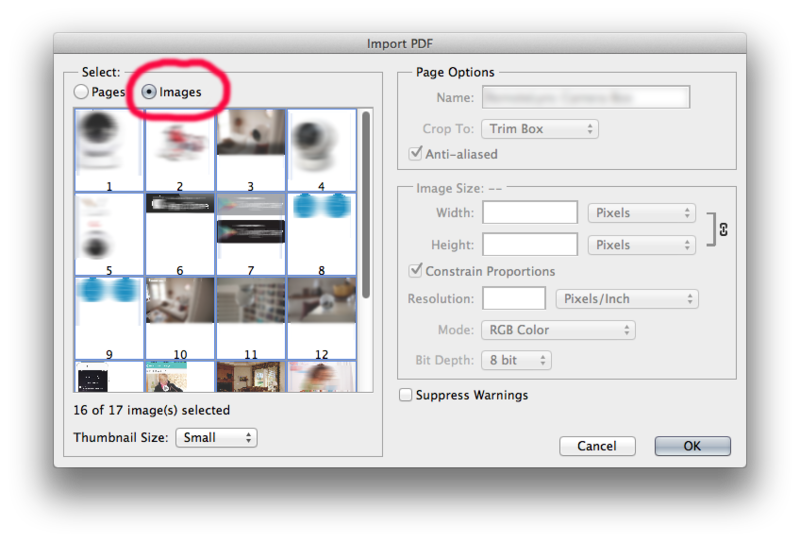 How can I save / output / export only the objects I currently have selected, to an image file, in Adobe Illustrator CS5? You could set up artboards for each object. Or just adjust the artboard to fit only the object you want to export and then tick the "clip to artboard" option when saving/exporting. Export (leaving "clip to artbaord" unchecked) You should only see the art not hidden. Choose Object > Show All from the menu. You can also utilize the hidden "hide other" shortcut. Select the object you want to save/export and then hit Command-Option-Shift-3 (Mac) or Ctrl-Alt-Shift-3 (Win). This will hide everything which is not selected. Save/Export, then hit Command-Option-3 (Mac) or Ctrl-Alt-3 (Win) to show everything again. Select a new objects and repeat. Do this often enough and it becomes a very fast processes. ctrl+alt+shift+s to open the Save for Web dialog. In Photoshop, do a "File>Paste", ctrl+v or applekey-V.
You will now have just the object/objects by itself (already cropped! ), and can Save, Export or Export for Web from there. Not sure if this works on all platforms but it surely does on my macbook air. Here is a surprisingly simple trick I recently learned. In the dialog box select the Images button and all the images in your document appear. Select the images you want to open and they will each open in a separate document at the embedded resolution. In Illustrator CC 2015.3 (20), Adobe finally added an asset export tool similar to Sketch. Now you can select any objects, right click and "Export Selection...". If you want to export multiple different selection, you can click "Collect For Export". Give each asset a name. Pick a format for each asset; png, jpg, svg and pdf are supported. For raster formats you can create multiple scaled outputs, e.g. 2x for retina screens. Each exported scale has a configurable suffix. These configurations are saved so when you edit the objects later, you can re-export everything easily. Copy the shape you wish to export to the clipboard. Your SVG will be ready to go in whatever directory you'd like. Not the ideal solution, but if you put the selected objects into a layer (either move them or duplicate them to a new layer temporarily), turn off the rest of the layers and export. Not sure what format you're exporting to, but one solution is to turn off the visibility of the objects you don't want to export in the Layers panel, then export. Easiest way I know is to select the objects you want to export and select then the Artboard Tool from the toolbar. Use this tool to click on the selected objects one by one (you might have to click twice on objects after the first one) and a new artboard will be created for each object. Then you just have to hit Cmd+E(mac) or Ctrl+E(pc) to export and then simply select the format you want and make sure 'Use Artboards' checkbox is ticked. Each individual image will be exported as an instance of the filename you type according to its artboard number (ie: filename-01, filename-02 etc.). Just bear in mind that this will export everything in the artboard area on all layers, so if you need transparent BGs you will need to hide any BG layers or other layers you don't want to include in the export. Easiest I've found - make your selection, file, export, then check the 'selection' box to export only the elements selected. PS: don't forget to check "Use artboards" on export dialog! And hit Ctrl-Z twice to undo temporary changes. The fastest way is to make use of the awesome export features of Sketch. Way 1: -Select the group in Illustrator -Paste in Sketch (repeat with all the groups you want to export) -Select the groups in Sketch, and click "make exportable" -Export at the resolution you want. Way 2: -Select the group in Illustrator -Paste in Sketch (repeat with all the groups you want to export) -Select the groups from the levels tab -Drag and drop the desktop or folder. Not the answer you're looking for? Browse other questions tagged adobe-illustrator export cs5 save selections or ask your own question. How to Export “only” the illustration in Illustrator CS3? How can I export sublayers to png in Adobe illustrator? Is there a way to batch export Illustrator symbols as pngs? How to have multiple instances of the same object in Illustrator CC 2015?